Ghostly International is one of my favorite music labels, and some of my favorite artists are on this label. 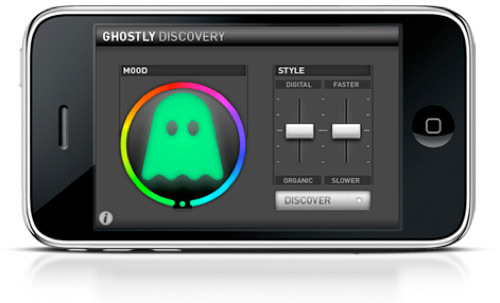 So I was happy to hear they had released a cool little application for the iPhone called Ghostly Discovery. From the looks of it they have put quite a bit of time and effort into this app. It’s free, so if you have an iPhone or iPod Touch go check it out. And if you haven’t heard the artists on Ghostly I also recommend you check them out as well.